Layla Green was diagnosed with type 1 diabetes at age 17 months. Diabetes Voice spoke to her mother Amie about parenting a child with type 1 diabetes and how life has taken on new meaning for her entire family. Layla Green was diagnosed with type 1 diabetes at age 17 months on June 2, 2012. It was a hard journey getting to her diagnosis. Layla’s paediatric healthcare team did not know what was wrong. Layla was sleeping through the day, peeing through her diaper, losing weight and drinking a lot of water. The doctors blamed the hot June weather. With no clear answers and with a child so obviously unwell and underweight, Layla’s mother Amie, who had been thinking all along about the possibility of diabetes, got her blood glucose meter that she was given during her pregnancy and tested Layla’s blood glucose. The result on the meter said HIGH. Amie dashed Layla to the emergency room. After being misdiagnosed with low iron, a vitamin D deficiency, and a bacterial infection, Amie had finally cracked the mystery. Layla had type 1 diabetes. Her father Adam was far away in military training at the time and rushed home to be with his family. I met Amie and Layla Green at the 40th annual Lions Day with the United Nations (LDUN) in late March 2018. Layla and her mother tour with Lions Clubs International (LCI) as advocates during school breaks and weekends to speak about the seriousness of diabetes and the importance of screening. It’s easy to see that Amie and Layla have educated LCI members all over the US about diabetes and helped them understand why prioritizing diabetes as a major public awareness campaign is so critical. Today you’d never know Layla lives with a serious chronic illness except for the Omnipod insulin pump that she wears on her upper arm. She is enthusiastic, funny, smart and full of energy. There is a serious side to this seven-year-old girl, too. She is wise beyond her years as it’s evident she gets what her daily diabetes management is all about. 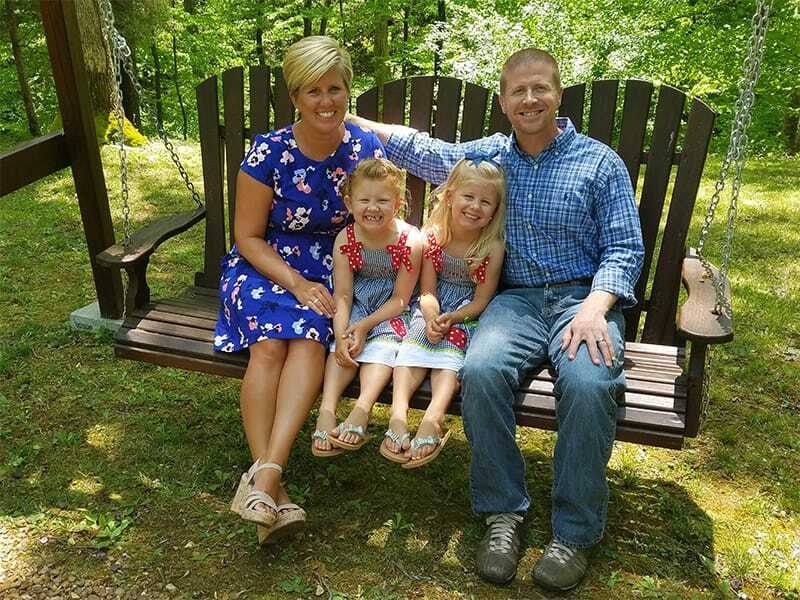 I was fortunate enough to speak with Amie about parenting a child with type 1 diabetes and how life has taken on new meaning for the entire family. Layla, middle left, pictured with her parents and sister Lynlie. Can you talk about what it was like in the early days after Layla’s type 1 diabetes diagnosis? I’ll never forget the day Layla was diagnosed with type 1 diabetes because it changed our lives forever. Her blood glucose was almost 700 mg/dL when they tested her in the hospital. The doctor told us that if we had not rushed her to the hospital, she would have been gone within a few days. One memory that plagues my mind is something the social worker said during the end of our week stay at the hospital. “It’s OK to mourn the loss of the child you once had.” I literally lost it at that point because the severity of her words hit me like a brick wall. 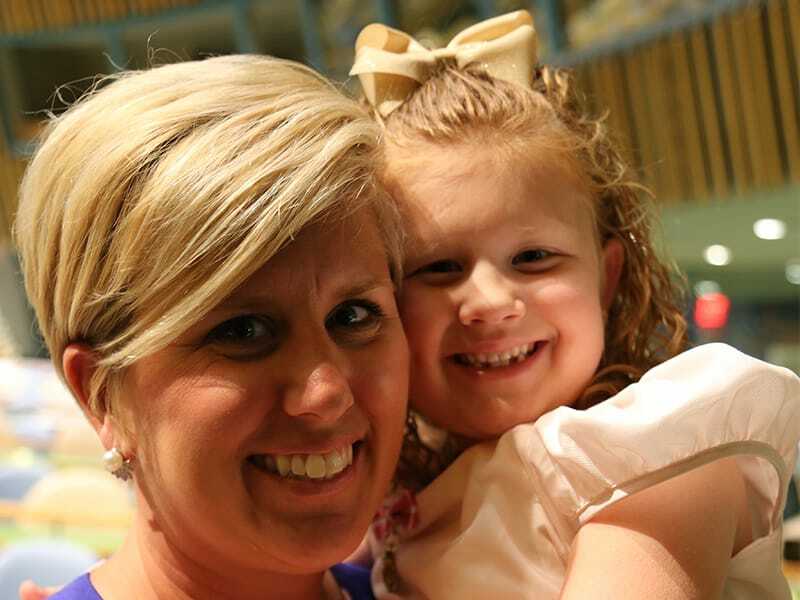 I was six months pregnant with my second daughter, Lynlie, at the time. So many emotions were pouring through my body. It honestly felt like I was drowning. Those first few months were awful, to say the least. I was constantly on edge. Trying to negotiate with a toddler and their eating habits was by far the hardest thing. When Layla would have a low or high blood glucose we couldn’t explain to her why she needed to eat or not eat. There is no doubt in my mind that my marriage suffered in those early days. It was hard to balance everything with her diagnosis and all the changes. In the early days, our lives revolved around diabetes. It took years for me to realize that Layla’s HbA1c is not my ‘report card’ and doesn’t define how good of a Mom I am for her. No two days are alike with diabetes and there is no ‘perfect control’. There are far too many factors that contribute to glucose levels for a human to take into consideration. We have now learned to take the good with the bad and continue to do the best we can every single day. What is the greatest impact for the family today? My answer now is very different from the answer I would have given a few years ago. Although diabetes does have some negative effects on our family (it is something we consider when making any decision), we don’t see it as all negative anymore. Diabetes has given us a new perspective on life that many people don’t get. We have experienced what it feels like to almost lose a child and live with the fear of losing her every day. When you realize how quickly a life can be taken you definitely see things in a different way. My husband and I have progressively changed our lifestyle by shedding things that don’t really matter. We make a point to spend as much time together as a family as we possibly can. If that means the house isn’t tidy, laundry isn’t done, and there are dishes in the sink, then so be it. Instead of gifts at Christmas, Santa brings a family vacation. We focus on making memories instead of worrying about the small stuff in life. 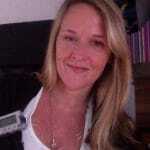 How has Layla’s diagnosis given perspective on the seriousness of diabetes? Can you sum up in a sentence or two what you think is the most important thing that people understood about diabetes? I knew absolutely nothing about type 1 diabetes when Layla was diagnosed. Actually, I had never even heard of type 1 diabetes. I made a point to educate myself about the condition so that I could provide Layla with the best care possible and so that one day I could teach her to do the same. Things like illness effect people with type 1 diabetes very differently and can quickly take a turn for the worst. We’ve had a few hospital stays due to what would be considered a normal virus to most people. Seeing your kid in a hospital bed is a stark reminder of the severity of this disease. The two most important things I wish people would understand about type 1 diabetes are: we didn’t do anything wrong and couldn’t have done anything to prevent Layla’s condition; and two, there is no cure. I don’t want Layla to ever feel like she needs to hide her condition, and I always want her to know that she has so many people that love her. Has Layla’s type 1 diabetes had an effect on the family economically? I’m so thankful for insurance and don’t see how people with diabetes can live without it. Even with insurance it’s still expensive for the tools that we need to keep Layla alive. It is very frustrating to see the high price of insulin, something that my daughter can’t go without. 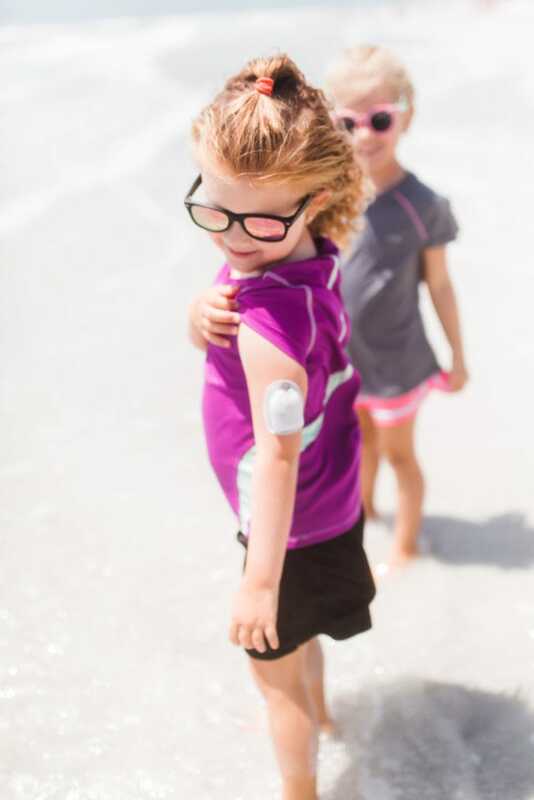 We use an insulin pump and a continuous glucose monitor as well. Both of these devices are expensive due to the upfront cost followed by monthly expenses. Equally frustrating is the number of things we have to buy that insurance doesn’t cover… alcohol pads, sugar tabs, juice boxes, ketone strips, etc. Luckily we are a family who budgets and sets aside emergency funds, and this helps us tremendously. What have some of the positives been for you and the family? My goal has been to educate and advocate in Layla’s honour in hopes that she will know that her voice can be heard. Being a caregiver of a child with type 1 diabetes is very difficult physically and mentally and sharing our story is very therapeutic for me. I love educating others by sharing our story, and we have met some incredible people along the way! I don’t want Layla to ever feel like she needs to hide her condition, and I always want her to know that she has so many people that love her. She truly enjoys knowing that she has an amazing support system and that she has changed people’s knowledge about diabetes. Can you discuss school for Layla – the ups and downs? School is hard for any child, let alone a child with type 1 diabetes. We felt that Layla deserved the best education we could give her, so we chose to home school her. Sending her to school made us feel very uneasy, especially since Layla doesn’t always feel symptoms when she has a hypoglycaemic episode or ‘low’. Her diabetes requires 24-hour care and we weren’t comfortable handing over that care until she can adequately take care of herself. No seven year old should have to carry that responsibility around. We want her to be a kid for as long as she can. Home school allows us the flexibility to educate Layla when she is at her best and take breaks as needed. If she has had a bad night of highs or lows, obviously she isn’t at full capacity to learn at the best of her ability. Also, if she has a low during schooling hours we can take a break without her missing any material. What do you think needs to be done better for children living with type 1 diabetes? Education is half the battle! There needs to be more information readily available about diabetes. The number of children diagnosed with type 1 diabetes is rising at an alarming rate, which has led to many failed diagnoses. Every paediatrician should know the signs and symptoms and should take them very seriously. Too many children are misdiagnosed (Layla was misdiagnosed 3 times). What does Layla think the greatest challenge is with her diabetes? My greatest challenges are going through site changes (insulin pump), not being able to eat when I am high (hyperglycaemia), and having to stop activity/playing when I’m low (hypoglycaemia). What is the greatest positive about diabetes for Layla? Eating sweet treats when I’m low! Thank you Amie and Layla for sharing your story! The International Diabetes Federation and Lions Club International recently signed a Memorandum of Understanding (MOU) to establish a cooperative alliance in the global fight against diabetes.